If your eyes are the windows to your soul, then your lashes are the beautiful, tailored Roman shades that accentuate those windows. When your lashes are on point, it can boost your entire appearance. So, when you notice that stray lash on your cheek, and realize that your eyelashes are falling out, you might feel frantic. Do eyelashes grow back? Let’s first take a look at why lashes fall out in the first place. So, Why Do Eyelashes Fall Out? You may lose your eyelashes for several reasons. Injuries, illness, stress, or beauty trends can wreck your lashes and damage these tiny, fragile hairs. Eyelashes are meant to fall out. They do so regularly, but you may have never noticed. This is because, like all of your hair, lashes are on a natural growth cycle – new hairs grow in, and old hairs fall out. If however, you feel like you’re losing more lash hairs than normal, there could be another issue at play. Thyroid Conditions – Both overactive and underactive thyroids can cause hair loss. Alopecia Areata – This autoimmune condition leads to hair loss on the scalp, eyebrows, and eyelashes. Chemotherapy – These drugs can cause hair loss all over the body. 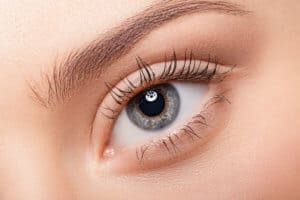 Trichotillomania – This psychological condition, which involves an impulse to pull at the lashes, is surprisingly more common than you might think. Allergic Reactions – Any kind of allergic reaction around the eyes can cause lashes to fall out. A question that concerns every person who’s ever noticed their lash hairs falling out is this: Do eyelashes grow back? Well, you can take a deep breath and rest assured that yes, eyelashes grow back. 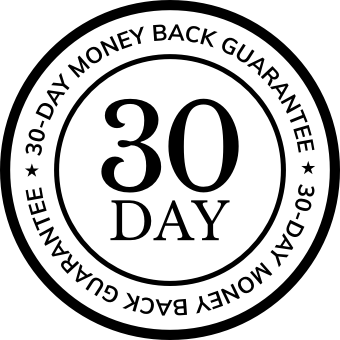 If your body is healthy, they will come back within a few weeks. If, however, you have an illness that leads to hair loss, once you recover, your lashes should grow back. You see, lashes operate on what is a very typical natural growth cycle for hair – new hairs grow in, old hairs fall out. So, your body does know how to make new lashes. Remove eye makeup: Leaving your eye makeup on overnight can be drying for your lashes. Dry hair equals brittle hair. And brittle hair leads to breakage. When you’re removing eye makeup, especially mascara, use a gentle cleanser and sweep over your lashes with care. 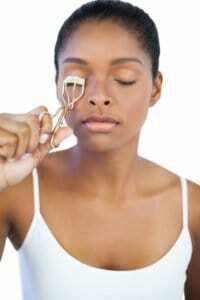 Be careful with eyelash curlers: Don’t press too hard, and only clamp the lashes for a maximum of five seconds. Never tug on your lashes with the curler. Pay attention to Mom’s wisdom: How many times as a child were you told not to rub your eyes? It’s great advice. Rubbing your eyes can pull out your lashes. If you suffer from allergies, applying a cold compress over the eye area may offer some relief. 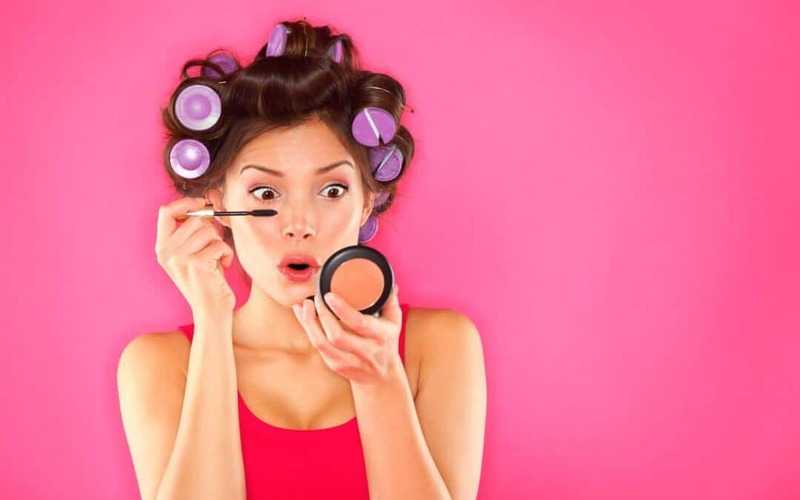 Keep your brushes and sponges clean: Makeup brushes and sponges can harbor all sorts of nasty bacteria which can lead to eye irritation and a loss of lashes. Try to clean the tools that you use around your eye area at least twice a month. So, do eyelashes grow back? Thankfully, yes! How long does it take? On average, you should have a new cycle of lash growth in around six weeks. So be patient, stay healthy, and take care of those beautiful peepers in the meantime.